Chess.com's third quarterfinal match in the Grandmaster Blitz Battle Championship (details here) featured the biggest comeback so far in the competition as Maxime Vachier-Lagrave overcame a three-game deficit to topple world number-three and newly minted U.S. Champion Fabiano Caruana. Caruana came out of the gate hot. Winning the first two games in a total of 50 moves, he looked poised to put the Chess.com prognosticators to shame as 58 percenthad picked Vachier-Lagrave to win a close to convincing match. Caruana improved his lead to an impressive 5-2 before letting his foot off the gas. As the time control diminished, Vachier-Lagrave gradually ascended. He picked up the final two games in the 3|2 time control, and he proved unbeatable in the 1|1 time control. Racking up a 7-2 victory in the 1|1 portion, Vachier-Lagrave won the match with an impressive score of 15.5-9.5. Even the pre-match featured some high-level enthusiasm as World Champion Magnus Carlsen seemed eager to scope out the competition prior to playing his own match in the Blitz Battle. His opponent is as yet unknown as Carlsen will play the winner of the Blitz Battle Qualifier to be held on May 31. Vachier-Lagrave was thoroughly prepared with a buffet of fruits and drinks and a pleasant view. Meanwhile, Caruana was settling comfortable in behind his new business venture, the "prodigy desk". Viewers will be able to buy on on July 4th. With the pre-game show out of the way, the chess was on. Immediately Caruana demonstrated his initially impeccable blitz and chess960 form. Caruana needed only 19 moves to wrap up a crushing attack on the long diagonal. Caruana needed only 12 additional moves to wrap up game two as Black. Although he missed the stylish 28...R8d3! that the commentators, IM Danny Rensch and GM Robert Hess, were pleading with him to play, he forced resignation soon after. Game three proved to be a small turning point. Caruana spent much of the game with an advantage of around plus-two according to the engines. At a key moment, he allowed an opposite-colored bishops endgame where even a two-pawn plus offered no winning chances. This draw allowed Vachier-Lagrave to eek on to the scoreboard just when he looked to be off to an 0-3 start. Vachier-Lagrave celebrated by notching his first win in a peculiar affair in which both players made some rather surprising mistakes. Carlsen was spectating in the chat and fell for one of Caruana's traps. Unfortunately for Caruana, Vachier-Lagrave was more attentive. Another Caruana win and a draw later, Caruana turned up the heat with win number four to move to plus-three in the match and put maximum pressure on Vachier-Lagrave. With his back against the wall, Vachier-Lagrave notched two wins to close the 5|2 time control with the momentum and a manageable single game deficit. The final game was probably the game of the match. Imperfect and with chances for both sides, Vachier-Lagrave squeezed out a win in a "drawn" rook endgame following an intense Najdorf struggle. Another exhilarating but mistake-prone game initiated the 3|2 time control. In the 960 format, Vachier-Lagrave marched his h- and g-pawns and a- and b-pawns up the board in the opening. I challenge the reader to find a similar position in grandmaster play. Even for 960, the result is unusual. Whether or not the strategy was sound, it paid off as Vachier-Lagrave picked up a piece. However, he failed to convert when Caruana's queen invaded a king position that was pleading for the return of the a- and b-pawns. Game two of the 3|2 control was an example of relentless tactical pressure in the endgame. Vachier-Lagrave got his rook to the second rank and tied Caruana into knots before steadily picking off some pawns and a bishop. Caruana snagged a clean pawn, but failed to convert against strong defense from Vachier-Lagrave in the third 3|2 game. The fourth must have been extremely satisfying for Caruana as he got his first 3|2 win when he turned around a King's Indian-style position and infiltrated with his pieces into Vachier-Lagrave's kingside. 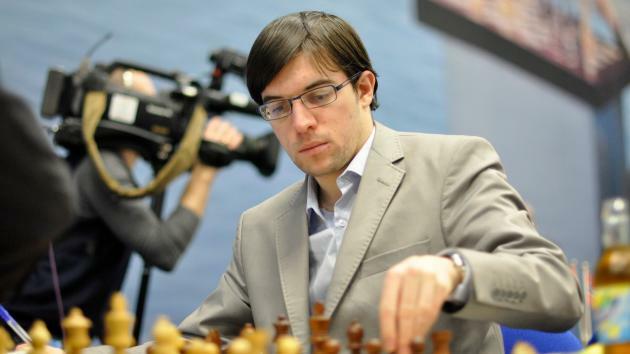 For the second time, Vachier-Lagrave closed out a time control with consecutive victories. He won the final two 3|2 games to finish the time control with a single game lead in the match. The penultimate game was one of Vachier-Lagrave's best as he steadily outplayed Caruana both positionally and tactically. Everyone expected Vachier-Lagrave to be a massive favorite at the 1|1 time control. With a one-point lead, the match appeared to be Vachier-Lagrave's. Despite expectations, through the first five games, the match remained entirely undecided. Vachier-Lagrave will now play Hikaru Nakamura in the semifinals; Alexander Grischuk will play the winner of the match between Carlsen and the qualifier. Thus far, Vachier-Lagrave and Nakamura have been most convincing in their victories, but all of the competitors have seemed vulnerable at times. The entirety of the match, post-game interviews, and musing on Vachier-Lagrave's diet is available for replay at twitch.tv/chess.